Ear Nose Throat, Head & Neck Surgery clinic is led by Dr Goh Yau Hong, Dr Kenneth Oo and Dr Lim Keng Hua. Our Singapore ENT specialists are trained internationally at top centres in the field of Otolaryngology with a diverse and rich experience from the training they obtained locally (in Singapore) as well. Our caring ENT doctors are dedicated to provide personalised patient care & offer top quality medical treatment. 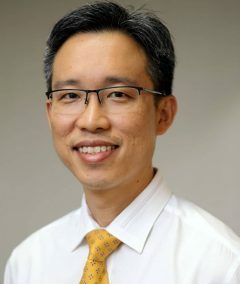 Dr Kenneth Oo is a graduate of the Faculty of Medicine, National University of Singapore. He is a Member of the Royal College of Surgeons in Edinburgh and a Masters of Medicine (Otorhinolaryngology). He is an accredited specialist in Otolaryngology (ENT) with the Singapore Medical Council. Dr Oo also holds a Masters in Science and has been awarded various grants and scholarships for his research and specialist training. Dr Oo is internationally trained having spent his fellowship years in Melbourne, Australia under the supervision of Assoc Professor Bernard Lyons and at the University of Virginia, United States of America under the supervision of facial plastic surgeon, Professor Stephen Park. Dr Oo has been in private practice since 2011 and manages General ENT conditions, paediatric ENT conditions, allergy, facial plastic (e.g. Rhinoplasty and Otoplasty) and reconstructive cases. Dr Lim Keng Hua is a graduate of the faculty of Medicine, National University of Singapore. He is a member of the Royal College of Surgeons in Edinburgh and a Master of Medicine in Otorhinolaryngology. He is an accredited specialist in otorhinolaryngology from the Ministry of Health (MOH) and Singapore Medical Council (SMC). 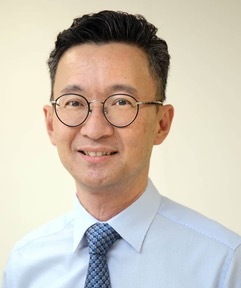 Dr Lim is a fellow of the Academy of Medicine, Singapore, a member of the European Rhinologic Society, the American Rhinologic Society, the Allergy and Clinical Immunology Society (Singapore) and the Asia-Pacific Society of Thyroid Surgery. 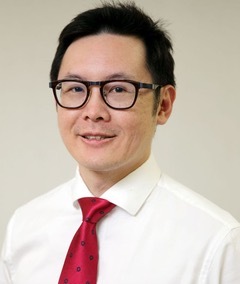 Dr Lim Keng Hua was the first surgeon to be awarded a Clinical Rhinology Fellowship to Europe, where he trained under the supervision of world-renowned rhinologist Professor Wytske Fokkens and endoscopic skull base surgeon Professor Christos Georgalas. Dr Lim has a whole realm clinical experience, accumulated over more than 18 years of clinical practice. His special interest is in the diseases and allergies of the nose and sinuses. However, he is also well versed in the management of both adult and pediatric General ENT conditions such as ear infections, hearing loss, voice disorders, snoring & sleep disorders, salivary gland & thyroid swellings. Otolaryngologists also known as ENTs are doctors who specialize in conditions affecting the ear, nose, throat, head and neck. ENT is a medical abbreviation that stands for ear, nose and throat. The ears, nose and throat are important parts of the body housing three out of five of our human senses. Any dysfunction of these parts can therefore significantly affect your quality of life. Very occasionally, patients may present with a medical emergency due to acute or previously undiagnosed conditions of the ear, nose or throat. It is advisable to seek the opinion of an ENT specialist if you suspect that you have any ear, nose or throat problems. What Do ENT Doctors Specialize In? Our ENT specialists treat a wide range of medical conditions involving the ear, nose and throat, and it is important to discuss your symptoms in detail with our specialist before an accurate diagnosis is made and appropriate treatment rendered. What To Expect When You Make A Visit To Our ENT Specialist Clinic? During the visit to our ENT clinic in Singapore, you will be required to provide a complete medical history and history of your presenting symptom. The ENT doctor will then perform a physical examination, which typically involves palpating the affected parts like the neck, face, cheekbones, nose and ears. Your ENT specialist may also use a specialized instrument known as an otoscope to look in your ears or a nasoscope to evaluate your nasal passages and upper airway. Both the otoscope and nasoscope are not uncomfortable and should not hurt. Your ENT examination may seem intimidating at first but all these procedures are very well tolerated in both adults and children. The doctor may also perform various hearing tests or order X rays and scans to help with further evaluation. If you have dizziness or imbalance, the ENT specialist may perform balance tests. When Should You Consult An Ear, Nose And Throat ENT Specialist Singapore? It is important to be on the lookout for these symptoms and signs so that you may proceed to make an appointment with a trusted Singapore ENT specialist at the earliest opportunity. Singapore ENT doctors undergo rigorous training and spend years locally and overseas honing their skills. They have a wide repertoire and are trained to manage diseases of the ear, nose, throat head, and neck, offer reconstructive surgery for deformities, trauma, and aesthetic surgery in these areas.